Racking Inspection Frequency & Cemetery Inspections: What Does “Inspection” Mean Legally? Home / Articles / Racking Inspection Frequency & Cemetery Inspections: What Does “Inspection” Mean Legally? 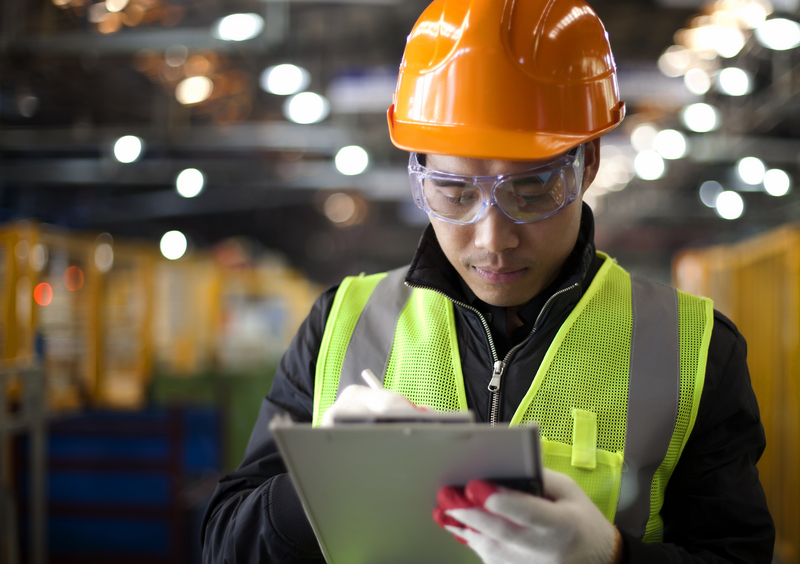 An enormous part of warehouse safety is racking inspection frequency, which HSE spells out in HSG76 — Warehousing and Storage: A Guide to Health and Safety. In the guide, HSE recommends a SEMA racking inspection at least once a year. It also recommends racking inspection training so that staff can inspect a warehouse’s storage systems on a more regular basis, using a racking inspection checklist. While all of this sounds very clear, the tragic death of Ciaran Williamson shows how one person’s definition of “inspection” can differ from another’s with terrible consequences. The sad incident occurred at a cemetery in Glasgow. While playing with his friends, a loose headstone collapsed and killed the eight-year-old Ciaran Williamson on 26th May 2015. Following his death, questions were raised about how this could have happened. Unlike with warehouses, HSE does not spell out exactly how cemeteries should be inspected or who they should be inspected by. In fact, there is some discrepancy about the issue. This is made clear in a 2012 briefing from Parliament about unsafe headstones in cemeteries. From this extract, it becomes clear that public opinion on who should inspect cemeteries, or whether they should be inspected at all, differs by quite some margin. However, because this is a council by council issue, public opinion is often swayed towards inspections in the face of tragedy. This is likely why, after the death of Ciaran Williamson, local councils across the whole of Scotland ended up inspecting 30,000 headstones. The lack of clarity about who and when cemeteries should be inspected was exposed during the November 2016 trial regarding the tragedy on 26th May 2015. Mr Brown, representing Glasgow city council, was accused of misleading HSE with his definition of “inspection”. While he claimed that the cemetery had been inspected, he conceded that it was done on an “ad hoc” basis, that there was no record, and that inspections were “a fairly unplanned activity”, despite previously telling HSE that there was a “formal process of inspection”. Is There Any Legal Guidance on Cemetery Inspections? Though HSE doesn’t have much to say about cemetery inspections specifically, the Local Authorities’ Cemeteries Order 1977 makes it clear that local councils are the ones responsible for maintaining safe cemeteries. In this piece of government legislation, the extent of the council’s right to maintain cemeteries is laid out in a fair amount of detail. Despite a 2004 case from a grave owner questioning local councils’ right to maintain cemeteries, the court upheld the right of all councils to do so by referring to this 1977 piece of legislation. In 2009, probably in an attempt to make the legal situation clearer, the Ministry of Justice released its guidance on cemetery maintenance. The guidance expresses in more explicit detail councils’ right to maintain cemeteries for safety purposes. With regards to inspections, though the Ministry of Justice does recommend inspections are done as part of a regular process and that there is a record of inspections, it does not say much about what an inspection should consist of, who should perform one, or how often one should happen. This vaguery is likely intended so that councils can make their own judgement about how best to inspect a cemetery. Much of the public’s negative attitude and concern about cemetery inspection may stem from the respect that people have of cemeteries. However, as is clear with the sad case of Ciaran Williamson, the public are also concerned about safety and aware of the dangers of uninspected cemeteries. The problem with this vagueness is that it allows for council workers such as Mr Brown to carry on performing “ad hoc” inspections for years without anyone noticing. All of this contrasts sharply with the recommended racking inspection frequency and legal requirements for racking inspections. As mentioned earlier, HSG76 from HSE recommends an inspection from a SEMA approved racking inspector at least once a year. They label this as an “expert” inspection. HSE also recommends racking inspections from staff using a traffic light system. They label these as “regular” inspections. The definition of an inspection depends on the industry, as well as the government legislation and guidance surrounding it. An inspection for a cemetery simply needs to be recorded, performed regularly and done with respect for the grave owners — whereas an inspection for a warehouse is either “regular” (i.e. performed by a member of staff under HSG76 guidelines) or “expert” (i.e. performed by a SEMA approved racking inspector in accordance with SEMA guideline no. 6 – guide to the conduct of pallet racking and shelving surveys). For an expert racking inspection, or to help your staff to perform regular racking inspections, contact Storage Equipment Experts today for racking inspection training and racking inspections from a SEMA approved racking inspector.